Thought I would share a bit of the research we are doing on Her2-positive Breast Cancer and “standards of care”. Hopeful this will help those diagnosed with, or have significant others diagnosed with, this medical condition. My exact condition within this category is “invasive ductal cancer”; as such the standards offered are specifically relevant. This material is an extraction from the National Cancer Institute, National Institute of Health, USA Government. Noteworthy, these are not the only such standards. National standards, in general, come from several organizations which are staffed by experienced research doctors who gather, synthesize and then publish conclusive findings from studies conducted world-wide, otherwise known as “clinical trials”. Regime #3 above comes the closest to my original prescription. Safe to say Perjeta remains the focus of my attention. It’s real simple. I need this drug added in Cycle 3. Carboplatin is another matter. It is one of the old school chemo drugs and I’m uncertain I want it added. My current doctor has asked. The second doctor seemed to be saying it may not be necessary, so I’m doing additional research before agreeing to it. Medical reading is tough, but we’re trying hard to be an informed consumer. … The weekend is upon us and I find myself still wondering. I’m glad I spoke to William first before giving them the credit card info – he just knew something wasn’t right. William told me right up front that he was concerned that the requested $500 payment per cycle would unknowingly acknowledge a contractual obligation to self-insure Perjeta. How this happens is beyond me. This drug is fully covered according to the insurance company. What good is insurance when non-medical types at an approved medical provider can tell a doctor we don’t care. To be clear, this is not an insurance company problem. Their Case Manager has been wonderful. Imagine yourself hearing that you are insured to receive a drug that will give you a 75% chance at completely killing off 4 tumors before surgery and if successful eliminates the need for follow-up chemotherapy. Then, have a someone without a medical degree step in at the last-minute and withhold that treatment unless you agree to sign paperwork that essentially risks bankrupting you, all the while your insurance company fully covers this regime and has for a year. Such a scenario isn’t exactly the peace and tranquility one needs! Do you see what I see? A big clinic with decent profits fed by hundreds, if not thousands of patients. A business that won’t take a contractually required financial risk, all the while trying to pressure me into doing just that? I’m the little old lady who paid for insurance to cover this and they’re the pro who can’t figure out how to enforce their provider agreement with their insurance company customer. I have faith though that things will work out. If we can’t find a champion through the second opinion process, we will seek to stretch our credit line. Although saying so is sharing personal matters, we are getting ready to list our high country home and selling this will relieve financial pressure on us too. It is something we planned to do anyway, just more motivated now. I’m especially encouraged by the research William has done. He says Perjeta as “a standard of care” can be added in at Cycle 3 and completed in Cycle 6. It would be at the lower end of the 4 – 6 cycle protocols listed in the NCCN guidelines, but clinically effective. William also mentioned that my current 2-drug regime which includes one Anti-HER2 drug (Herceptin) was part of another 3-drug standard of care for many years which had a 17% chance of getting a 100% elimination of my tumors. This means my current 2-drug regime may be holding its own against my tumors while we search for a way to introduce Perjeta. Monday morning is big. Getting a Second Opinion scheduled is critical. Perjeta … No! Final Answer! The truth is finally out and on the table! Recall the medical provider’s representations (to our Aetna Case Manager) that the magical $500 was now to be part of our 2014 deductible – these were misrepresentations. At the close of business yesterday, during our scheduled conference call, we got to the bottom of it all. The medical provider’s Clinic Director officially notified us that they will not change their self-insurance policy on Perjeta. Yup, it’s been about the Perjeta all along. Such a shame! Our insurance carrier has repeatedly made it clear that the medical provider has no compelling need to do this, yet they are leaving this requirement in place. William has worked so hard to make this a win-win solution. He worked everyday over weeks to resolve this satisfactorily with my medical provider, but to no avail. Sad day! We simply don’t have the money to self-insure this bill. No Perjeta for me! 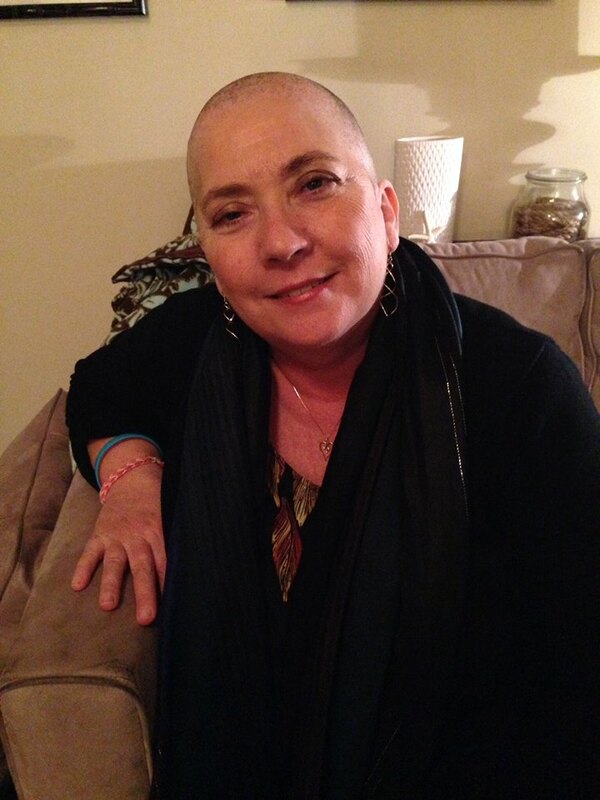 So … Cycle 2 Chemo is scheduled for January 7, 2104. I will go forward with the 2-drug treatment regime, while we looking for other options. This news is very scary for me. Their doctor prescribed Perjeta and as a national standard it is the most effective drug treating HER2-positive Breast Cancer. Get this! According to the clinical tests submitted to the FDA in support of its approval, Perjeta (when given in conjunction with the other drugs they are already giving me) completely shrinks tumors before surgery in about 40% of the cases. William and I picked up copies of my medical records today. We will take the weekend to consider our options. For sure, Second Opinions are next. This is terrible. Who knows this stuff. We’re innocent patients, not attorneys. I know in my heart of hearts that things will work out. The Perjeta protocol is far to powerful to not be available somewhere where my insurance company is not made to be the bad guy, especially when that insurance company has documentation on-line explaining the very advantage I spoke to above. Head-up and moving forward with my hubby, we’re walking hand-in-hand to a successful end to this mess! For those who have asked, the Perjeta financing saga goes on. William continues his work with the AETNA Case Manager to sway my medical provider to change their misinformed house policies pertaining to charging a $500 deposit per infusion of an AETNA approved and covered (i.e. scheduled) drug since December 2012. I’ll leave explaining the details of this wild and wooly project for William to relate once the matter is satisfactorily resolved. If I wasn’t feeling so disjointed and pestered by the side affects of the Chemo drug, the ride on this roller-coaster wouldn’t be near as nauseating. William has properly identified and resolved the business reason for the financial staff at the medical provider not getting paid for Perjeta over the last year – wrong diagnostic and/or billing codes – and yet they have been sticking to their guns. Something like – it’s their policy to make the patients assume 100% of the financial risk (responsibility) for this drug until AETNA miraculously starts paying for it. Mind you, re-submitting their standing claims with the proper billing code and letting me move on without signing our financial life away for this FDA and AETNA protocol-required drug isn’t something they see as doable. Well, at least not as of last Friday evening. William tells me today, Monday evening, that AETNA believes the medical provider is moving towards correcting their course. We hope to know more this coming Thursday, the day after Christmas. Keep your fingers crossed. January 7th is coming up quickly and the Perjeta infusion is critical – like I’m not able to miss it without jeopardizing the continuity of my pre-surgery treatment regime. I’m betting on William. If anybody can he can make this happen, one way or another, he can. My advice to those having to walk this road in the future is to take your team with you. The natural conclusion is that once Chemo starts you will need someone at your side to help with the financial/insurance matters. I’m here to tell you gathering that team right from the beginning and having them join you as early as the post-diagnosis telephone call has huge advantages. There is so much to remember and do. For sure, once “chemo brain” sets in and the general fatigue hits having help is critical.